All stretch marks causes are effectively the same – the excessive and/or continuous stretching of the skin, which results in the increased production of cortisone. Stretch marks are effectively scars like any other, which are most commonly associated with pregnancy and general weight issues. One of the most common stretch marks causes is a rapid change in body weight in either direction. Stretch marks can also occur in teenagers and even children, who may experience growth spurts that stretch their skin. There are various stretch marks causes, though stretch marks in their own right are not considered in any way dangerous or unhealthy. Nevertheless, these pronounced bands of parallel lines that can range in colour from purple to grey can have a significant impact on the confidence and quality of life of those affected. The good news is that irrespective of the specific stretch marks causes, it’s never been easier to reduce or even eliminate stretch marks from anywhere on the body. Contact the HSA Dermal Clinic team today for more information. Effective stretch marks removal is a similar process to all other types of scar removal. Here at HSA Dermal Clinic, we provide the most advanced stretch marks treatment in London, using cutting-edge laser technology to quickly and permanently eliminate problematic scarring. Laser skin resurfacing provides a uniquely effective alternative to invasive stretch marks treatments, using precision microbeams to target the problem areas for intensive stretch marks removal with no unpleasant side effects or downtime. For more rudimentary scarring, alternative stretch marks removal treatments vary from chemical peels to topical treatments and many more besides. Our team of specialist clinicians will guide you through the available options, in order to determine which approach to stretch marks removal best suits your requirements and expectations. 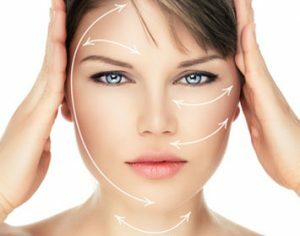 In all instances however, HSA Dermal Clinic guarantees outstanding results and unbeatable value for money. Contact a member of our team today to arrange your obligation-free consultation. While some stretch marks fade and disappear with time, others are far more pronounced and perhaps permanent. If looking to take affirmative action against problematic scarring, HSA Dermal Clinic is proud to offer the most advanced laser stretch mark removal services in London. Our cutting-edge laser stretch mark removal treatments get to work at the heart of the problem, targeting the root cause of stretch marks deeper below the surface of the skin. Microbeam lasers address the scar tissue with pinpoint precision, having no effect whatsoever on the surrounding tissues. Used in combination with the highest quality topicals, our advanced stretch mark treatments in London deliver consistently superior results and are suitable for the vast majority of skin types. The HSA Dermal Clinic team will talk you through all available options, which include laser stretch mark removal, micro dermabrasion, chemical peels and many more besides. Book your obligation-free consultation with one of our specialists today.